Valeria Necchio served us a delicious grilled polenta 'crostini' recipe, with set and griddled polenta taking the place of bread. Beautiful thin strips of lardo melt ever-so-slightly over the polenta for an incredibly more-ish starter. This recipe is taken from Veneto: Recipes From an Italian Country Kitchen by Valeria Necchio, published by Faber & Faber. Photography by Valeria Necchio. Polenta is the staple crop of the region of Veneto. 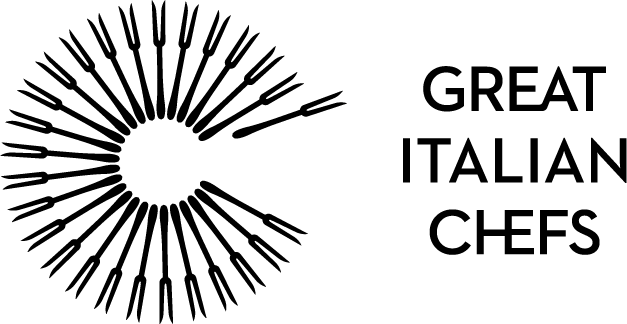 Well beyond the turn of the last century, many Venetian farming families didn't have anything else to eat; they ate polenta every day, at every meal. Thankfully things have changed, though polenta remains the iconic accompaniment to a number of traditional dishes, acting either as the medium to collect juices of stews and braises, or as the starchy sidekick to grilled meat and fish. In this recipe, polenta replaces bread as the vehicle for cured meats, in this case lardo. 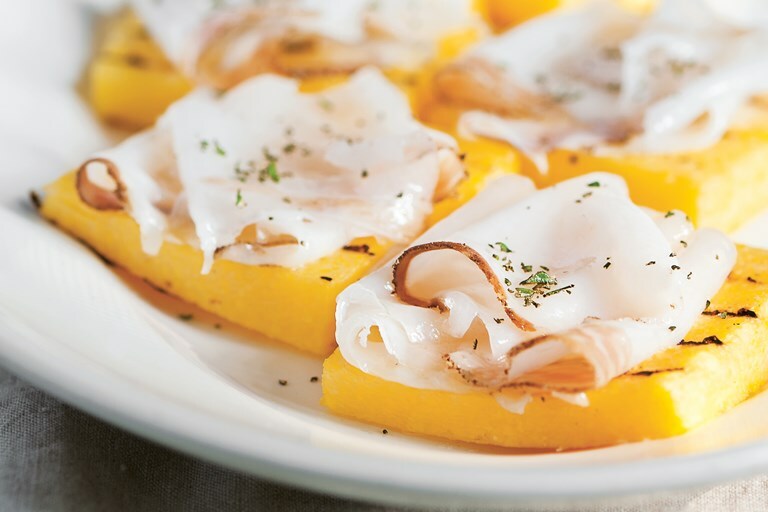 Dressed like a crostino, grilled polenta - charred, warm, topped with glistening slices of lardo melting away – makes for a wonderful cold-weather starter, easy enough to enjoy at a family meal, but also novel enough to impress a table of guests.